In this day and age, the cannabis industry is facing new and increasing challenges. From fierce regulations established by governments and decreasing resources to keep up with continuous changes in technology, difficulties in retention of skilled people, and these challenges can be overwhelming. Instead of cutting the cannabis industry training expenses, the industry moving towards viewing training as an investment. Hence, improving the cannabis industry training Return-on-Investment (or ROI) is critical. This can be done either by lowering the training costs and/or improving the return. While custom training can have a higher initial cost, it can be well worth it given the advantages of providing unique content can offer. Here, we will review some strategies to boost your cannabis industry training ROI by employing custom eLearning solutions. Off-the-shelf is cheap and fast. But it is also generic. Since every cannabis business invests largely in developing their own intellectual property, shouldn’t we also invest in teaching the professionals the specific way the company applies and develops generic concepts? Yes, we should. Custom eLearning solutions are specific, tailored to your processes, policies and branding values, and your organization’s culture and context. Custom eLearning is proprietary, just as the company’s products, services, cannabis industry standard operating procedures (or SOP’s) and processes. How does it boost the ROI? It develops employees by teaching them the specific company processes, hence, the on-the-job learning curve is shorter. High-impact learning must be engaging, relevant and focused on the cannabis industry. Custom eLearning solutions can deliver the training needed for accelerated skills development, as well as for behavioral change. Custom eLearning can include scenarios, case studies, and organization-specific information that can drive deliberate cannabis training. You can also edit your content based on the feedback you receive from other cannabis industry workers either during the training or as they’ve completed it. The continuous improvement loop, so important to any business, can be supported by including the suggestions and lessons learned from the feedback. This way, the learning becomes better for the staff who will complete the training in the future. Custom eLearning can be a precursor to intensive Instructor-Led Training, a follow-up to in-class learning, or self-paced, reference-based learning. 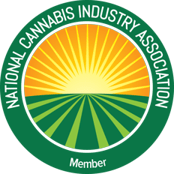 All these modalities can connect and engage the cannabis industry workers with a difficult subject matter, making an impact on the organization’s operations, effectiveness and efficiency, which, in turn, boost the ROI. Custom eLearning solutions can include games and simulations, supporting the adoption of new systems, and technologies, while breaking down the employees’ resistance to training during the transition period. Custom simulations can also provide the learners with a safe environment to practice and fail without consequences. Custom eLearning solutions including simulations can reduce the time to autonomy, saving on additional training and mentoring. Most people decide their commitment to their job in the first few weeks of work. It is critical that your cannabis business impacts new employees in the first few days on the job. Retaining your talented employees results in a decrease in recruitment cost due to turnover. This could be often accomplished by designing and developing engaging custom eLearning courses for the company’s onboarding program. This way, the new cannabis industry employees can understand the company’s uniqueness, the values, how employees are valued, and what the company will offer them as far as support and empowerment during their employment are concerned. Develop new custom eLearning solutions by repurposing existing content to be multi-use and multi-modal. This allows you to touch learners more than once with the same high-quality content, via multiple delivery methods, as they need it, over time. Reusing content leverages the initial development investment for a lower cost per use. Multiple exposures to content reinforce learning, which improves cannabis industry worker retention and performance, thereby improving return. Microlearning software demos, for example, excerpted from longer Web-Based Training (or WBT’s), available as online help back on the job can save money and support continuous learning. In the same way, mobile learning can reduce training costs in the long run, by providing cannabis industry workers with the content they need when they need it, hence making the learning more effective. When aiming for long-term behavior modification, accelerated skill development, and employee retention, consider custom eLearning solutions as a means to achieve your goals. 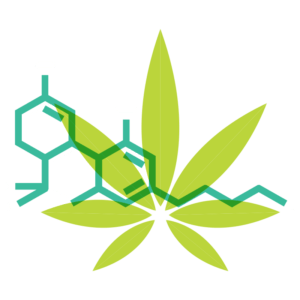 This entry was posted in Cannabis Industry, Training Tips and tagged cannabis elearning, cannabis industry training, cannabis training, dispensary training, marijuana elearning, marijuana training. ✨A shiny new cannabis training?